Confining your dog or cat to the inside of a car, even on a mild day, places a pet in a life- threatening situation. An alarming increase in “Dog in Hot Vehicle” reports over last spring compelled Washoe County Regional Animal Services to create a summer “Hot Dog” campaign to remind pet owners that leaving a pet in an enclosed vehicle, even for a short time, can be a deadly oversight. Temperatures inside a closed automobile can easily rise to 20 degrees or warmer than outside temperatures which could prove deadly to a pet. In May of 2012, dispatchers received 68 high priority calls for dogs left in an enclosed vehicle during hot temperatures. This is over five times the number reported during May of 2011. 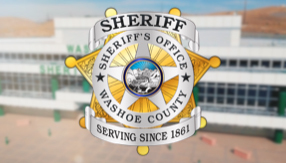 So far there have been no pet fatalities as a result of pets being left in hot cars, and Washoe County Regional Animal Services staff would like to keep it that way.